Please kindly send us your inquiry 1 AWG welding cable list and order quantity, our sales team will send our offer documents to you within 12 hours. let’s get a further talk about your order. What are the good features of 1 gauge welding cable? 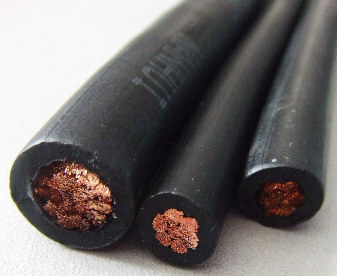 Secondly, 1 gauge welding cable has good abrasion-resistant performance. This makes the 1 AWG welding cable suitable for many harsh application environments. For example, in many construction sites, it is necessary to pull the cable again and again. Just 1 AWG welding cable has good abrasion-resistant feature. Therefore, 1 gauge welding wire suitable for transportation, steel plants, railways, oil refineries, oil fields, construction, coal mines, etc. As a professional 1 gauge welding cable manufacturer, Henan Huadong can produce welding cables suitable for you according to your specific application. Please kindly send us your inquiry 1 AWG welding cable list and order quantity, our sales team will send our offer documents within 12 hours. What are the advantages of Huadong 1 gauge welding wire? Meanwhile, we can send 1 AWG welding cable free samples to you if you are interested in our welding cable products. We sincerely welcome you to visit our welding cable factory anytime. Starting custom your ideal welding cable size, the factory price will send you within 12 hours. Testing: Huadong Group performs rigorous testing on every step of the 1 gauge welding cable production process. Package & Delivery: 1 AWG welding cable package by iron or wooden drum or according to your requirement. Please kindly send us your inquiry 1 gauge welding cable list and order quantity, our sales team will send our offer documents to you within 12 hours. Office: Nanpu international center, Jinshui dustrict, Zhengzhou City, Henan P.R. China. 3.Could we provide the free sample for customer ?